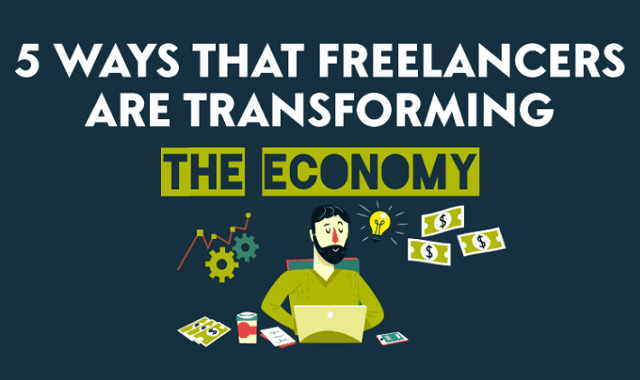 5 Ways That Freelancers are Transforming the Economy #Infographic ~ Visualistan '+g+"
The way we work is changing. With five million UK workers already employed on-demand via services such as Airbnb and Uber, the balance is shifting between those who use ‘gig’-work to supplement an old-fashioned 9-5 job and those for whom a networked society means no longer having to show up at the office. This is not just about a few rootless freelancers making the Internet work for them – it is a revolution in the economy of work. Here we take a look at a breakdown of the challenges and opportunities facing freelancers and authorities alike in the wake of the gig-economy.